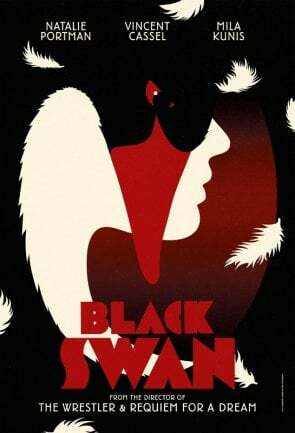 I saw Black Swan over a month ago at the Toronto International Film Festival, and I'm still grappling with some of that film's stunning imagery, not to mention dying to see it again. 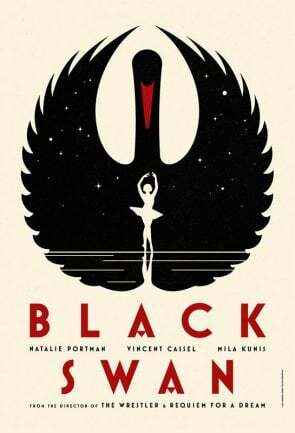 While it's a long wait for the film's December 1 release, the promotional campaign keeps bringing new beautiful things to gaze at-- and for once, I don't mean Mila Kunis and Natalie Portman. 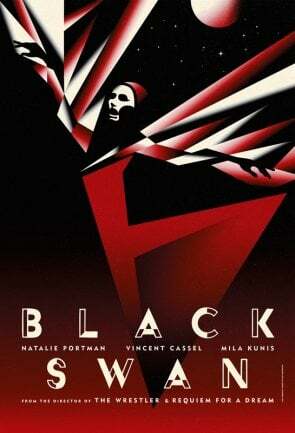 Empire Online debuted four new posters for the film, all of them artsy and rendered like some hybrid between Soviet propaganda posters and a fever dream. You can see all four below and click for Empire's full-size, beautiful gallery. 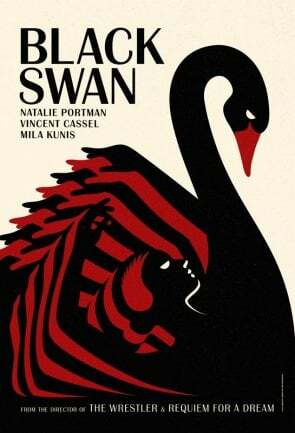 As you probably know, the Darren Aronofsky film stars Natalie Portman as a ballerina given the chance to star as both the White and Black Swan in Swan Lake, but whose mental state starts deteriorating as the pressure takes its toll. I wrote in my review from Toronto that the movie is "audaciously weird and scary and go-nuts psychotic," but has such great performances that it feels grounded even in its own weird reality. Really, it's a must see-- and these posters, maybe even more than any actual image from the film, perfectly sell the film's artistry and control. Check them all out and marvel below.